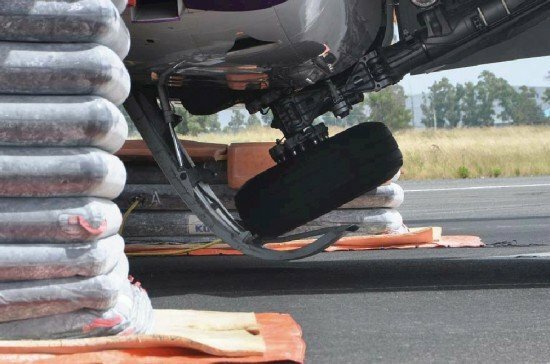 The Italian flight safety agency ANSV issued four safety recommendations to the European Aviation Safety Agency (EASA) to prevent problems in extending and locking of the Airbus A320 undercarriage as occurred on a Wizz Air plane at Rome, Italy in June. On June 8, 2013 an Airbus A320 of Wizz Air was approaching Roma-Ciampino Airport, Italy when the left hand main landing gear failed to fully extend and lock down. The alternate procedures for extending the undercarriage failed and the crew diverted to Roma-Fiumicino Airport for an emergency landing. The aircraft was damaged and three passengers were injured in the evacuation. Based on the investigation findings so far, the ANSV decided to issue four safety recommendations. In order to have a better and clear traceability of the maintenance performed on the single aircraft part, it would be desirable to require a worksheet for each single S/N and not generically referred to the MLG door actuator. EASA is therefore recommended to review the maintenance practices/requirements regarding the above mentioned matter. In order to avoid excessive workload in stressful condition like an emergency landing due to L/G not locked, it would be advisable to require that the content of the OEB 209/1 (and its following modifications) and associated point in EASA AD 2011-0069R1 to be included in the related abnormal and emergency checklists. In order to avoid any possible flightcrew misinterpretation about the effective meaning of the 2 minutes waiting time after recycling required to activate the L/G gravity extension, it would be advisable to review the activation procedure; in particular it is recommended to specify that the freefall mechanism must be activated after a minimum time of 2 minutes with the lever kept in the lower position, and no other shorter intermediate recycles are allowed. In a case of jammed door, when the gravity extension is activated, there is no chance for the crew to restore a clean configuration of the aircraft. This, under specific adverse circumstances, may become critical by leading to excessive fuel consumption. EASA is therefore recommended to consider the possibility to review the logic of the system in order to remove this potential scenario.